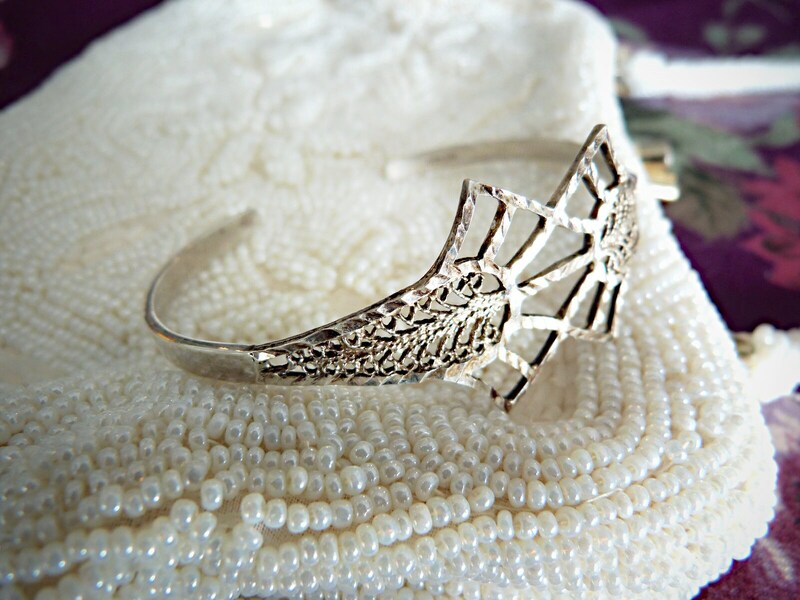 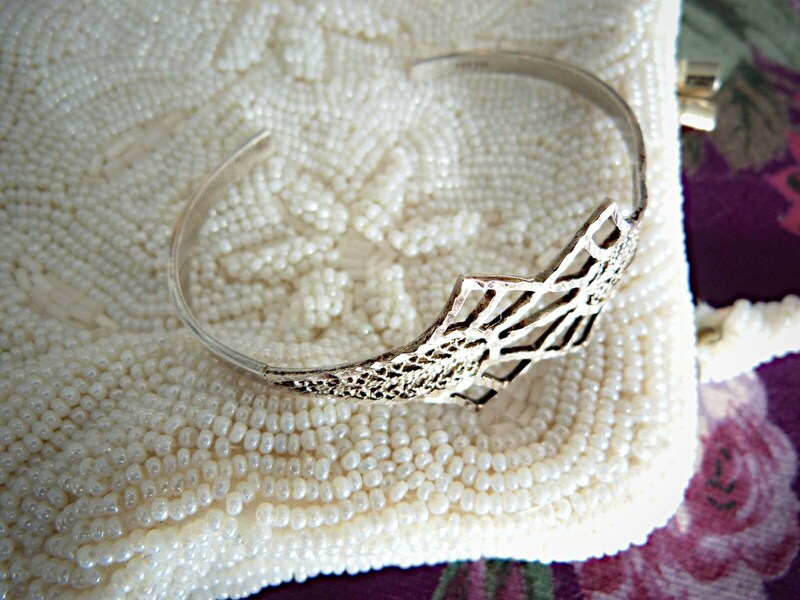 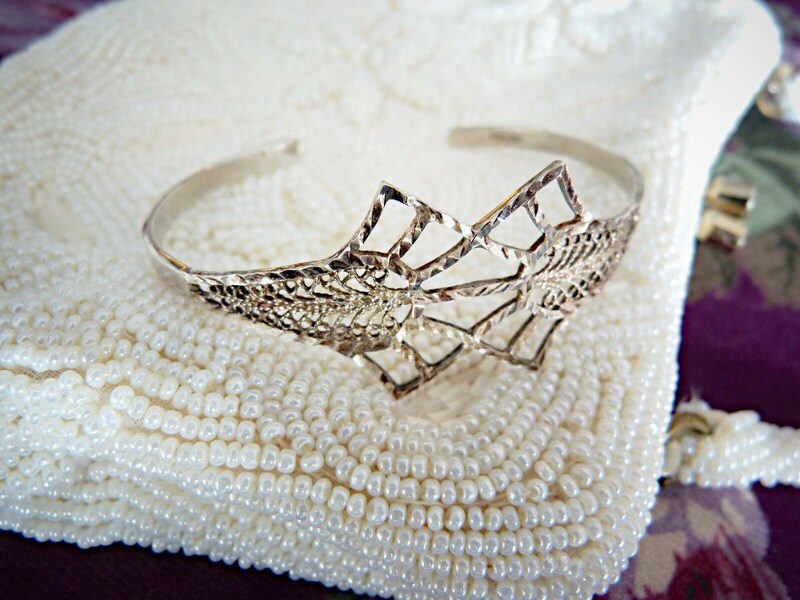 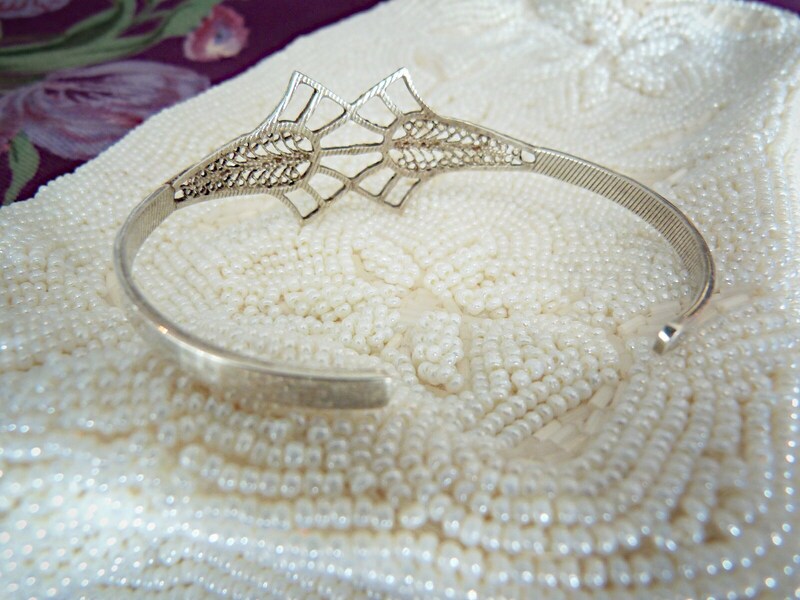 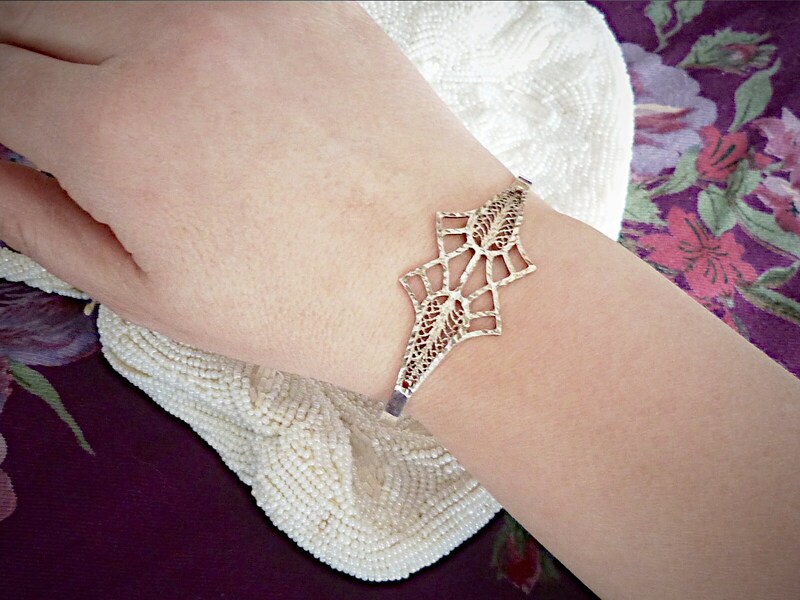 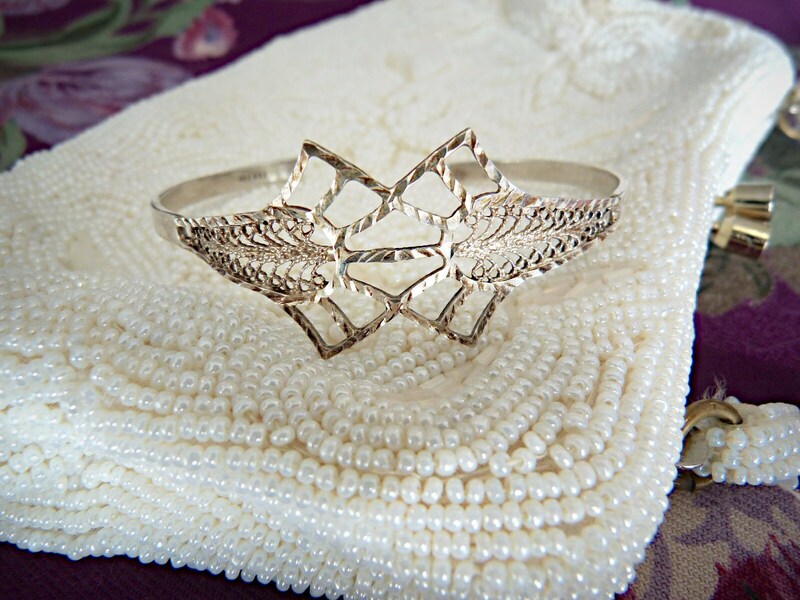 Gorgeous thin and delicate sterling silver cuff / bangle bracelet with a beautiful art deco spirit center design in filigree. 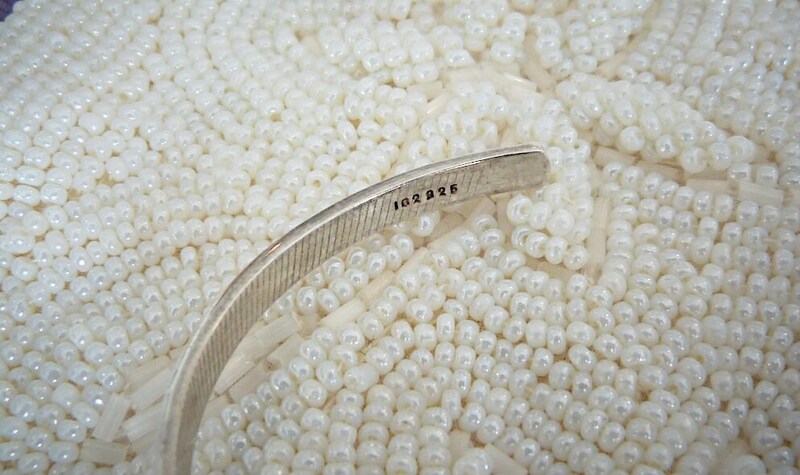 "102 925" hallmark at the back. 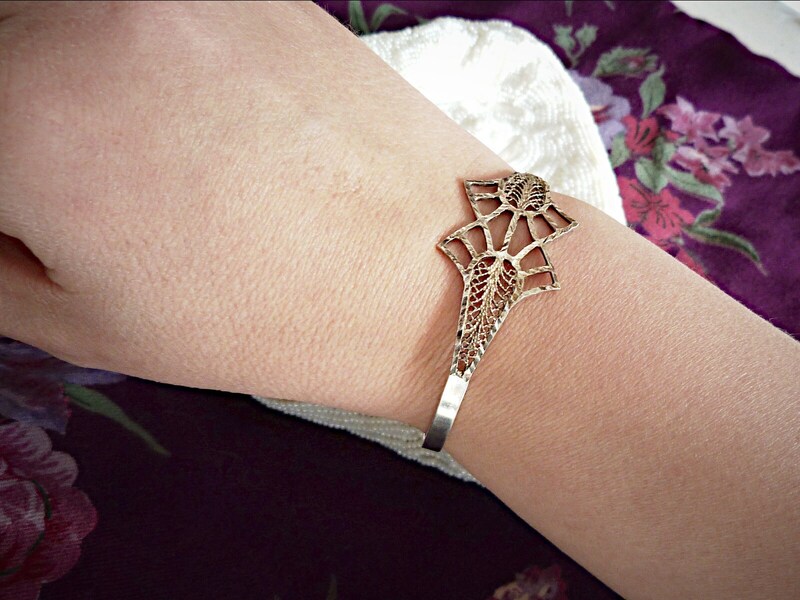 Discreet and stylish, it will fit with any outfit.